The magic photo booth takes this entirely new photobooth experience to a whole new level. 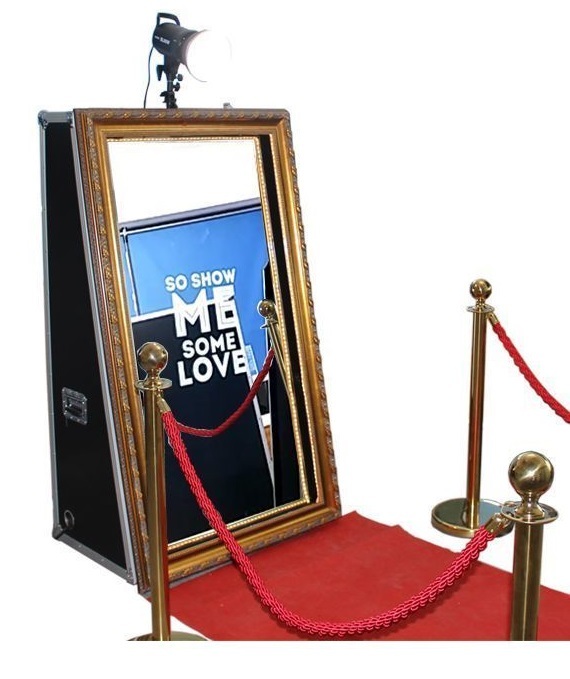 Its the combination of a photo booth and a “giant selfie device” wrapped into one. With on-screen voice animation plus the touch screen interaction. Yes Nothing but pure fun.